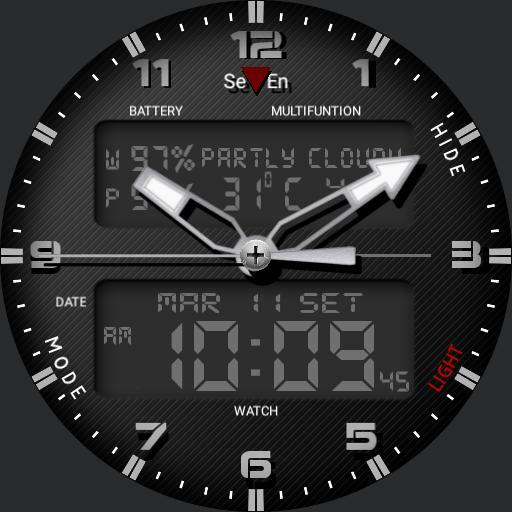 AnaDigital watchface by SevEn oclock. Central tap for brightness adjustment, tap on 6 and 12 for dimmed adjustment, burn protection in inserted, light button, multi-function, possibility to hide the hands. remember that the function for detecting heartbeat consumes a lot, limited to a single determination. good fun.